That claim was put forth Wednesday by Tesla Motors CEO Elon Musk, who criticized the media for harping on the relatively few crashes involving Tesla's semi-autonomous driving system called Autopilot, while saying little about the about the 1.2 million people who die worldwide each year in human-driven vehicles. ``If, in writing some article that's negative, you effectively dissuade people from using autonomous vehicles, you're killing people,'' said Musk, who expects his self-driving technology to be at least twice as safe as cars driven by humans. The comments came as Musk announced that all new Tesla vehicles - including the lower-cost Model 3 - will have the hardware needed to drive themselves. The talk is bold but experts say it's premature until self-driving cars prove they're better drivers than humans under any circumstances. In May, an Ohio man using Autopilot died when his Tesla Model S failed to spot a tractor-trailer crossing a divided highway. Neither the car nor the driver braked, and the Model S crashed into the side of the trailer. Federal investigators are looking into Autopilot's role in the crash. There is evidence, however, that one day Musk could be proven to be right. While currently there is little data showing that fully autonomous cars would reduce deaths, there are studies that show computer controls can cut fatalities. The Insurance Institute for Highway Safety said it determined from 2016 police data that forward collision warning alone reduced front-into-rear crashes by 27 percent. Automatic braking cut the rear crashes in half and reduced injuries by almost 60 percent. Tesla's Autopilot, introduced last year, can maintain a set speed and distance and keep the car in its lane. But the technology works mainly on highways and must be monitored by the driver. Autopilot will turn itself off if drivers have their hands off the wheel for too long. 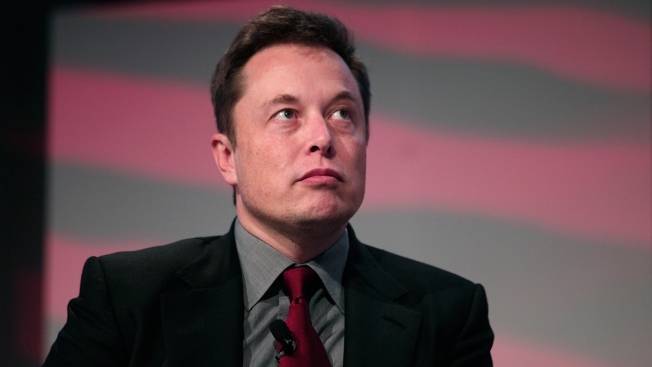 Musk says Autopilot has already shown itself to be safer than humans. He tweeted earlier this month that Tesla vehicles have been driven 222 million miles in Autopilot mode, with one confirmed driver death. By comparison, the U.S. fatality rate in 2014 was 2.16 deaths per 200 million miles traveled, according to government data. The new autonomous system has been in testing for more than a year, and Musk said Wednesday it could cut worldwide deaths in half if all cars used it. Rajkumar was skeptical and called the Tesla announcement ``marketing hype.'' He said people should be skeptical of Tesla's claims because of the Florida crash. Self-driving technology ``still needs to prove itself,'' he said, adding that it has trouble operating in dense urban traffic and inclement weather. Consumer Reports magazine also is concerned about semi-autonomous systems such as those that allow a car to steer itself. The magazine believes automakers like Tesla ``should take stronger steps to ensure that vehicles with these systems are designed, deployed, and marketed safely,'' it said in a statement. One criticism of Autopilot is that the system gives drivers a false sense of security, causing them to be distracted and unprepared to take control in an emergency. The German government has told Tesla to stop using the Autopilot name because it implies that cars can drive themselves. Musk disagrees, saying the term has been used in aviation to describe a system that assists pilots. The new Tesla vehicles will use Tesla-developed software and have more sensors. They'll have eight cameras _ compared to one in previous models _ as well as advanced sonar and greater computing capacity. Tesla says the system is fully autonomous and can work on city streets as well as highways. Buyers can pay $3,000 for Autopilot or $8,000 for the full self-driving system. Tesla owners, though, won't be able to give up control of their cars just yet. The company will gradually roll out autonomous capability in software updates every few months, once there's enough data to prove it's safe, Musk said. The updates also would have to meet safety regulations in the U.S. and elsewhere.